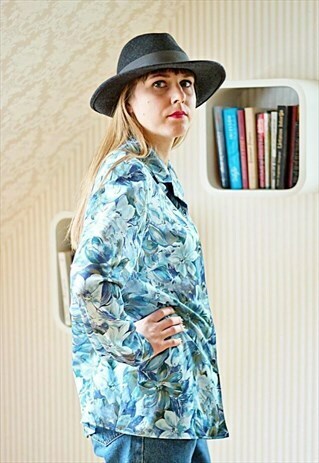 Lovely vintage light blue flowers shirt with classic collar. The size on the label is 42. Model is a UK 8 and 5"4. Length of the shirt is 27 inches, chest 21 inches, sleeve length 24.4 inches. Please note this is a vintage item so minor signs of wear are expected.